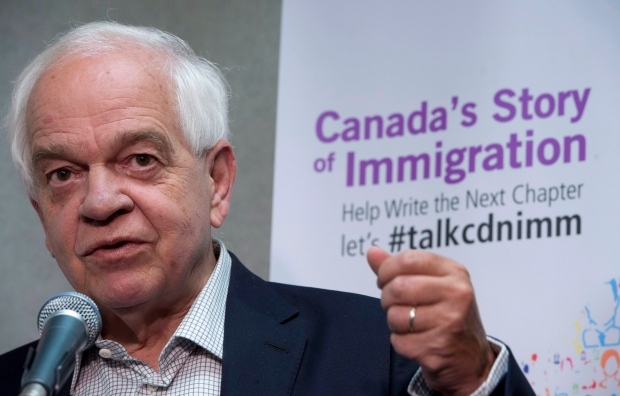 When Immigration Minister John McCallum announced in December that Canada’s family reunification program would be subject to a new lottery system in 2017, he said the change would ensure a fair process for all applicants. But some say the move is anything but fair, forcing those who have already spent considerable time and money preparing sponsorship applications to face the possibility that their parents or grandparents may never be considered for entry to Canada. On Dec. 14, the Liberals announced that the first-come, first-serve application processing system used by the previous Conservative government would be replaced by random draws. As of Jan. 3, Canadian citizens and permanent residents who wish to sponsor a parent or grandparent have 30 days to fill out an online form. The form is merely a declaration of intent to sponsor someone. Immigration officials will then randomly draw 10,000 individuals who will be asked to submit the full application within 90 days. Under the old system, the government accepted for consideration the first 10,000 sponsorship applications that arrived at the Mississauga, Ont., immigration office as soon as it opened at the start of a new year. Those who could not camp out at the office at the beginning of January were, in some cases, paying hundreds of dollars for courier services to ensure that their application would be among the first to arrive. While some have applauded the end of the first-come, first-serve system, others say the immigration process should not depend on the luck of the draw, either. The man who started the petition is Brad Fach, a Cambridge, Ont., resident whose parents-in-law had been preparing to immigrate to Canada under the old system. After making dozens of visits to Canada over the years, Fach’s in-laws decided to sell their home in Belgium, retire and move here permanently to be close to their grandchildren and the rest of the family. They have already purchased property in the Cambridge area, as well as Canadian health insurance. Fach felt their chances of being approved by Canadian immigration officials were “rock solid,” and the only risk they were taking was not getting their application in on time, under the first-come, first-serve system. “Now all of a sudden it became, ‘Guess what? All that work you did – it could all go up in smoke based on random chance,” Fach told CTVNews.ca in a phone interview. Fach said his in-laws were “devastated” by the changes announced in December. His petition, which requires 500 signatures to be presented in the House of Commons, calls on McCallum to repeal the lottery system “until a more comprehensive plan can be formulated” and would-be sponsors can provide feedback. Fach is also calling on the federal government to allow those who have prepared fully completed sponsorship applications to submit them as usual this year. “We understand that the new change has caused frustration for some people, but we believe this approach is fairer and more transparent,” a spokesperson for Immigration, Refugees and Citizenship Canada (IRCC) said in an email to CTVNews.ca. “The former process was about who could get their application to us the fastest, possibly giving an advantage to those who could afford to hire a courier, and those living close to the case processing centre‎ in Mississauga,” Remi Lariviere said. Toronto resident Danielle Smith was also shocked when the new lottery system was announced just weeks before she and her husband planned to submit a sponsorship application for her mother-in-law, who lives in Bermuda. Smith also has questions about how the lottery system will be run. For example, she has wondered whether a group of siblings would each be able to fill out the form stating their intent to sponsor the same parent, thus increasing their chances in the draw. “It just doesn’t seem very transparent,” she said. 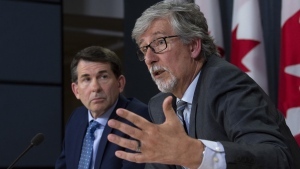 Dory Jade, the CEO of the Canadian Association of Professional Immigration Consultants, agrees that the federal government could be more transparent about what kind of algorithms it will use to randomly select 10,000 people who have filled out the online form. Those who are selected to submit a full sponsorship application, but don’t do so within 90 days, will lose their spot, giving people who didn’t make the initial cut another chance, Jade said. “This is, in a sense, more fair to everyone,” he said, adding that there were also no guarantees that applications would be approved under the first-come, first-serve system. People who are upset about the short notice on the program overhaul have a valid point, Jade said. But he noted that McCallum was likely unable to make any public statements about the changes until he received the green light from bureaucrats who were preparing the new system. Jade said would-be sponsors should not be discouraged by the new rules. “Please, please, please, put your name in the new system. Believe in it,” he said. The government said it plans to admit 20,000 parents and grandparents under its 2017 immigration levels plan. “Family reunification is an immigration priority for the Government of Canada,” Lariviere said. Another option for parents and grandparents wishing to spend more time with family in Canada is the so-called “super visa,” which can extend their stay in the country for up to two years.